We love everything Japanese, from the clean country itself, to the fabulous beauty brands and a variety of Japanese cuisines. 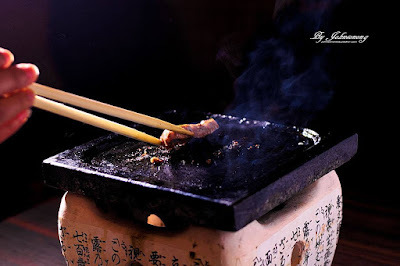 If there's one cuisine we would live on, it would be Japanese food. You see, we have been travelling to Japan for a number of times. 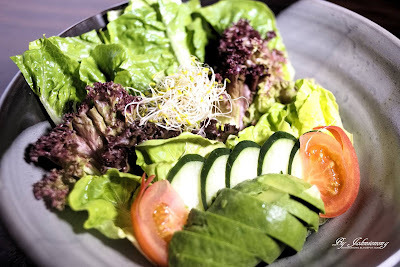 There's always something new and nice there, especially for food. However, we couldn't be flying to Japan every time we cravings for authentic Japanese food. 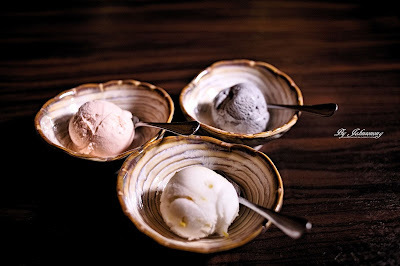 ISHIN Japanese Restaurant is here to save us, as a Japanese restaurant serving genuine Japanese and Kaiseki style cuisines that are cooked to order, ISHIN prepares their meals freshly using ingredient imported from Japan's famous Tsukiji market with the finest ingredients of the season. 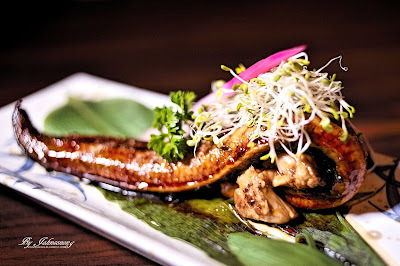 Let us share with you what have we tasted at a fantastic dinner at ISHIN Japanese Dining lately, Itadakimasu. Generous slices of fresh, sweet and smooth sashimi on a sashimi boat decorated with a cool LED light igloo. 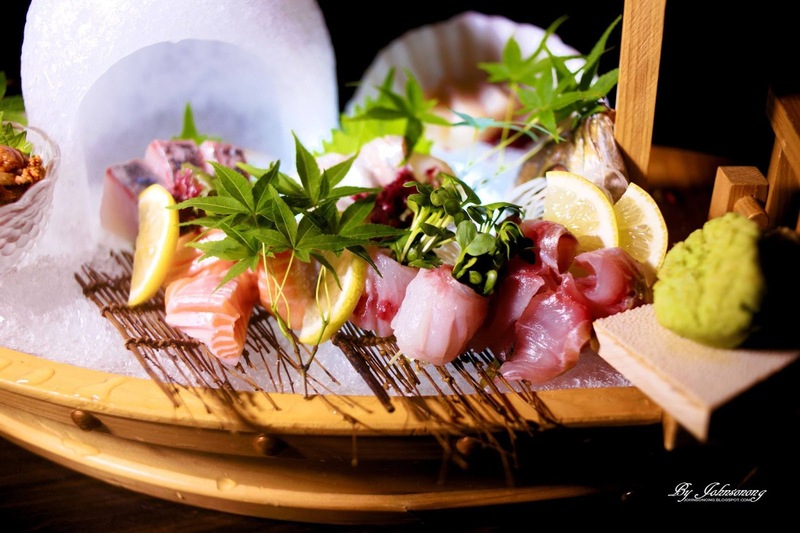 Comes with assorted fresh seafood, chef has prepared fresh prawns, salmon, scallop, sea urchin squid, and clamp for that night. It is indeed one of the best Sashimi we have tasted outside of Japan. 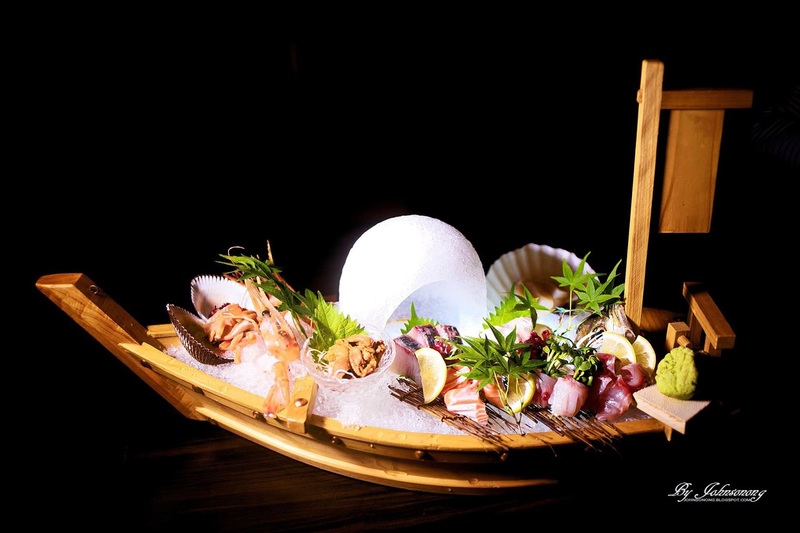 We just love this nicely presented sashimi boat. 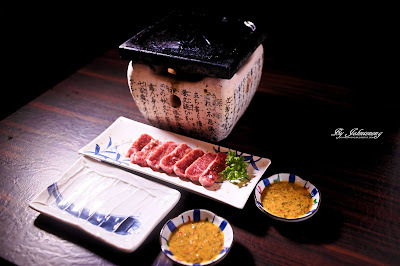 The most premium and best wagyu beef steak, grill with the special stone in front of us. 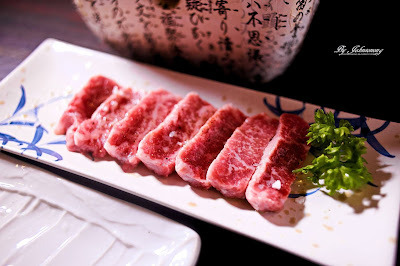 Every bite of the wagyu beef is juicy, tender, and soft. It doesn't need any sauce or gravy as the wagyu taste rich and great by itself. The most wonderful part? The wagyu dissolves in the mouth just like a lightly cooked fish. Simply fantastic, could we have more please? 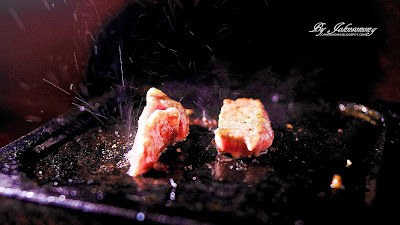 Tuna jaw grilled into perfection with a pinch of salt. 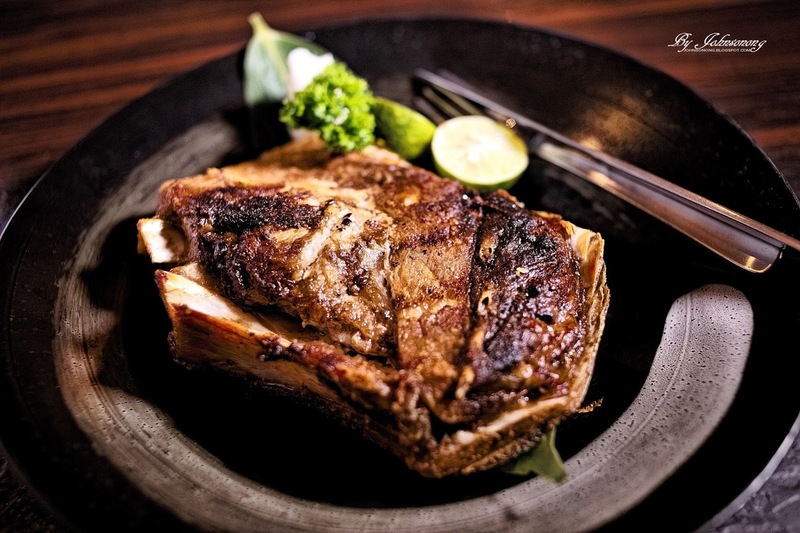 The meaty tuna jaw taste deliciously soft, rich and fatty. We love the naturally sweet flavour of the fresh tuna flesh, yummy. Batter fried shrimps, cuttlefish, hammour and vegetables, served with Tempura dipping sauce. 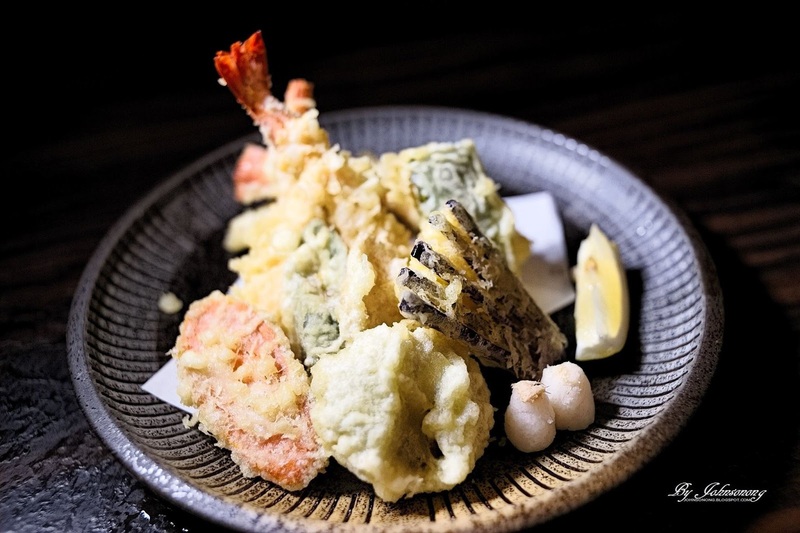 A lovely tempura combination that is crispy outside, raw taste and juicy inside. 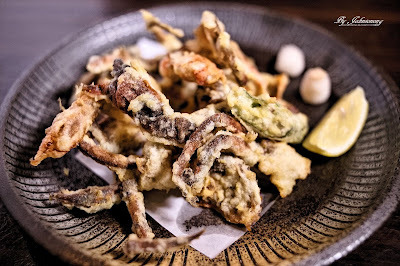 Batter fried soft shell crab, served with Tempura dipping sauce. Surely a satisfying dish for soft shell crab lovers. Not your average unagi, Ishin's Duck Liver with Unagi has the richness of eel meet plus silky smooth duck liver. Each bite is so tender and juicyness, we strongly recommend this. 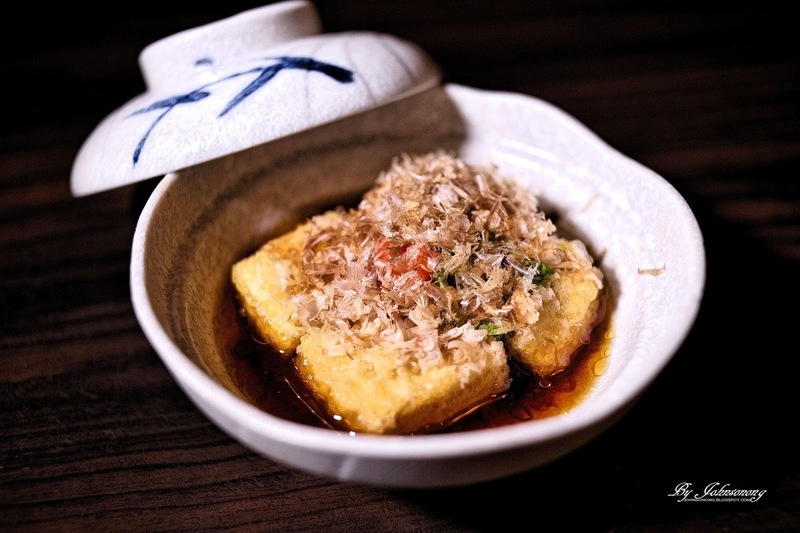 Hot tofu in Japanese way, Agedashi Tofu is a popular Japanese appetizer dish made of deep fried tofu steeped in a sweet and savory sauce. 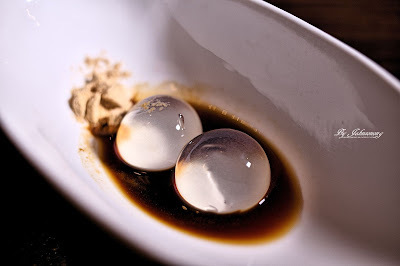 A very cute version of chawan mushi, which is Japanese egg custard. The 3 mini chawan mushi is served in eggshell. 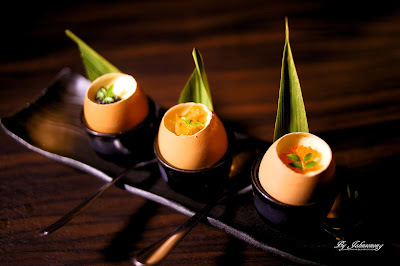 You can choose from the sea urchin, fish roe or black caviar, either of which you would surely enjoy the rich, smooth egg taste. 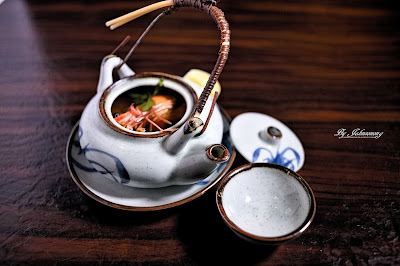 Dobin Mushi is a traditional Japanese seafood broth, steamed and served in a cute dobin tea pot with shrimp, chicken, soy sauce, lime, and matsutake mushroom. We enjoy every sip of this rich and rereshing flavour of seafood broth. A simple and healthy way to enjoy avocado in special soy based sauce. ISHIN Japanese Dining also serves delectably desserts, from seasonal ice cream to water drop mochi. 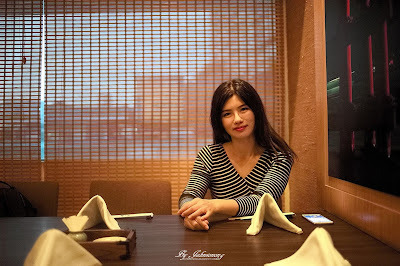 Diners would enjoy the outstanding Japanese food, with the wonderful service from the well trained staff under the good atmosphere at ISHIN Japanese Dining. They provide Free Valet car park for customers.